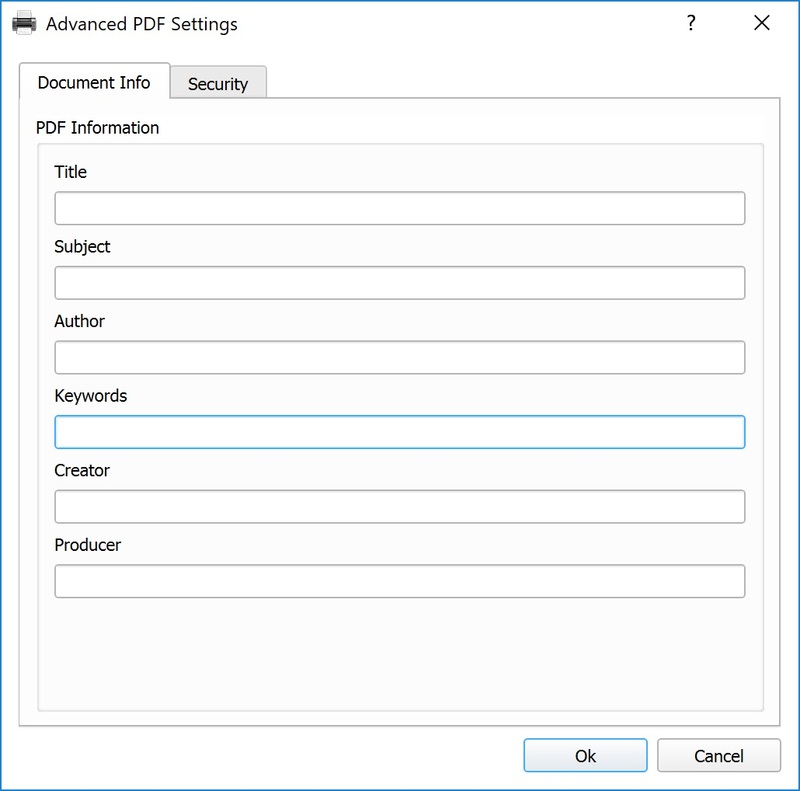 Press Advanced in order to see advanced PDF settings. A dialogue window with Document Info and Security tabs. There you can set some data about the document and set up document opening password. Limits for access permissions can also be set there. Document Info tab allows to specify document metadata. Its fields are self-explanatory. PDF document can be protected with two kinds of passwords: User Password and Owner Password. If any of the passwords is specified, one of them must be inserted in order to open the document. If User Password is used you will have limited access permissions. Owner Password allows to apply any changes to the document. If you specify owner password only, but leave user password field empty, it will be possible for user to open the document without password, but they will have limited permissions as specified on Security tab. 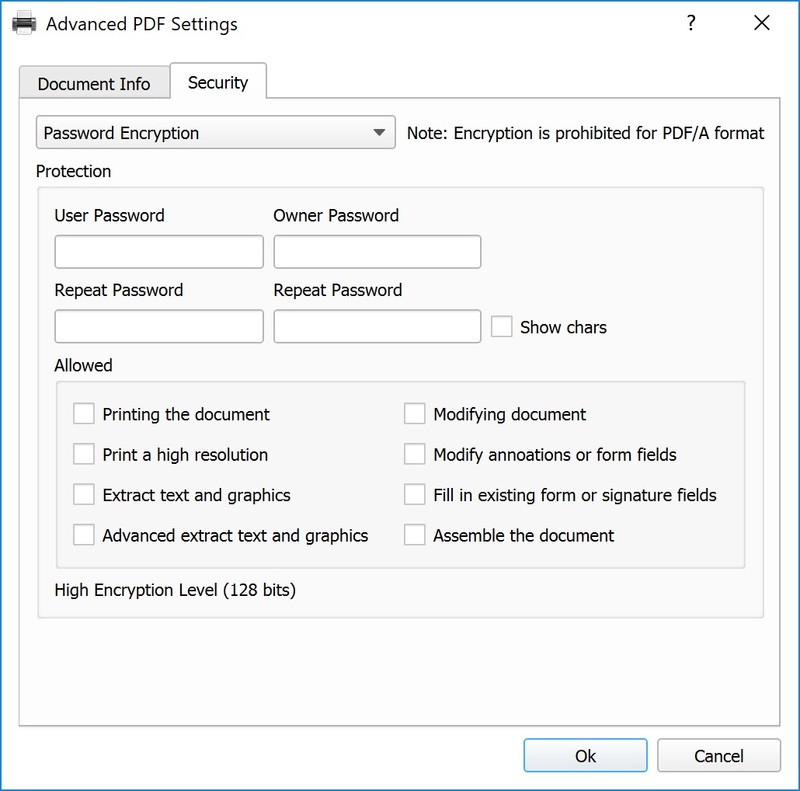 No encryption – open file without password. Password encryption – open file without password. Allowed – choose actions which require owner password. Print a high resolution – printing with any resolution. Advanced extract text and graphics – allows users to select and copy PDF document content. 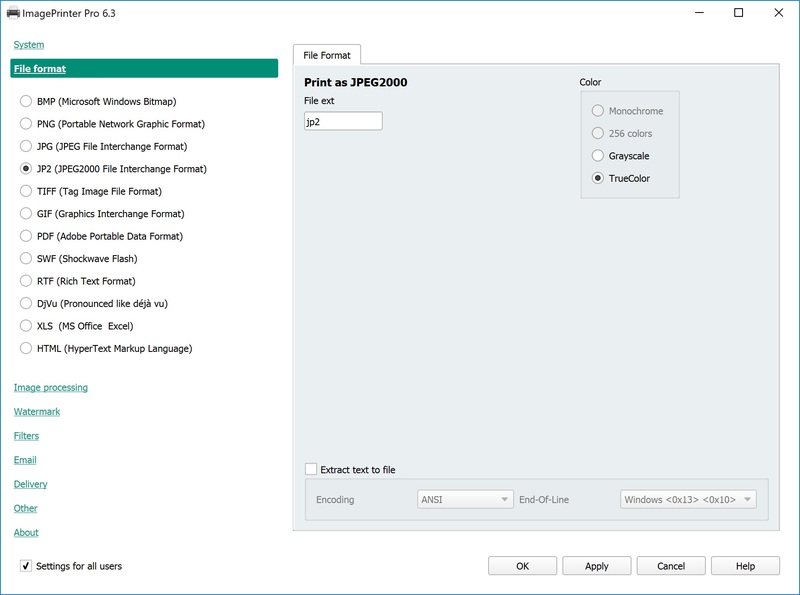 Modifying document – allows to change document content (text, images etc). Modify annotations or form fields – users may fill form fields and sign them with digital signature. Allows to create interactive forms too. Fill in extracting form or signature fields – users may only fill interactive forms and sign documents. Assemble the document – allows to insert, remove and rotate pages, create bookmarks and thumbnails.